Avid sports journalist and writer, Suresh Menon, is also someone who reads a lot of cricket books. It is some thing which a cricket writer should do by default, you would assume. However, most books written in India on the game are half hearted affairs. It means that while the history and culture of cricket in India is vast, the literature itself is lacking, when you compare with the literature of other countries like England and Australia. Bedi: The Portrait of a Cricketer talks about every thing in Bedi’s career, from him facing his father when he fell in love with an Australian girl, to his craft, to the rivalries between Bombay and Delhi cricket. It talks about how one generation of cricketers often suffered because of an earlier generation – how Pataudi was given a raw deal as captain as his father had issues with board officials, just like Amarnath senior’s tussles lead to a raw deal for Mohinder Amarnath. The famous quartet of spinners and it’s strengths and weaknesses is discussed in detail, as is the Kerry Packer affair and Bedi and India’s stance during that difficult time in the game’s history. Bedi’s own forthrightness, his idiosyncrasies and his being misunderstood at times are also explained. One of the most interesting aspects of the book is the discussion around when Bedi took on DDCA officials and became the Sports Secretary. As an official, he fell prey to the politics as he was not able to handle things with diplomacy or tact. Equally interesting is his stint with Northamptonshire, and the sad end when his contact wasn’t renewed. 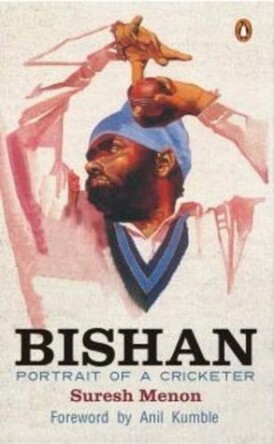 Overall Bishen is an extensive book which is well researched and tries to present a dispassionate picture of a cricketing great. If anything, I would have liked it to be even more detailed. At times, you yearn for more as in a few pages, the topics are over and we move on to the next chapter. It would be nice to see a separate book on DDCA and it’s politics or the ‘quartet’, for example. A chapter just isn’t enough to talk about these in detail, even though there is a lot of information provided. I hope that we see more quality books on Indian cricket in the future.